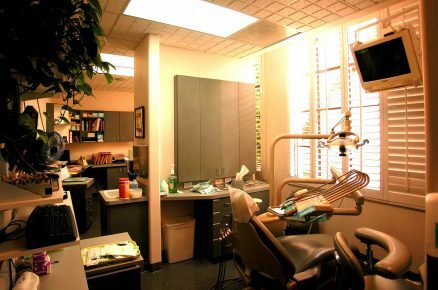 Montecito Dental Group - Lawrence Thompson Architects, INC.
"A upbeat clinic in the heart of Old Coast Village"
A seven operatory dental clinic for Dr. Greg Scarcello, DDS at 1665 Coast Village Road, Montecito, working under Fitzpatrick Dental of Moorpark. 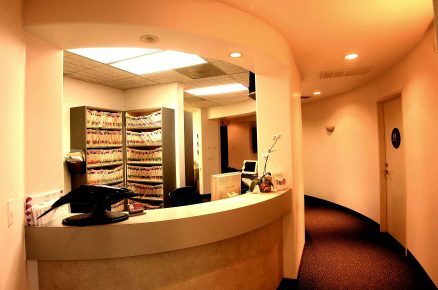 A circular Reception area has contact with a large percentage of this expansive clinic, the lobby, and most of the operatories. All operatories have ample exterior windows with courtyard views and indirect sun, and three are joined spatially near the Reception. 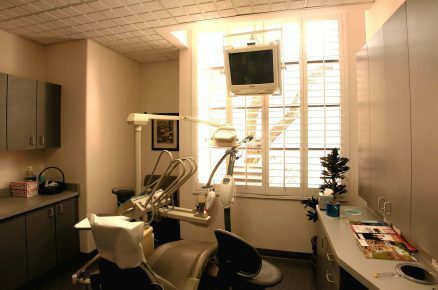 The clinic benefits from its location in a Spanish Colonial courtyard in a fine shopping area.